Disney has announced two special offers for Florida residents – a Discover Disney Ticket and a Fun & Sun room offer. 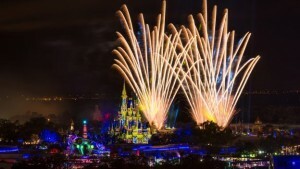 The Florida Resident Discover Disney ticket allows Florida residents to enjoy three days at a Walt Disney World theme park for $159 per person, plus tax. A fourth day can be added for $20 per person plus tax. The three- and four-day Discover Disney Ticket expires June 24. Florida residents can extend their stay by adding on a Fun & Sun room offer with their Discover Disney Tickets. With this promo “a family of four can enjoy a three-night stay at a select Disney’s All-Star Resort with four-day Discover Disney tickets for $1,246 – that’s just $78 per person, per day,” according to Disney. Packages prices are valid for stays most Monday through Wednesday nights June 20 for 2 adults, 1 junior (ages 10 to 17) and 1 child (ages 3 to 9) when you book by June 20.